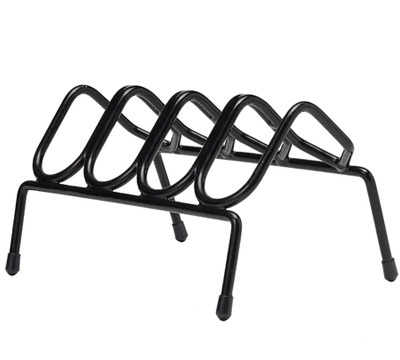 This firearm rack holds 4 handguns; pistols and/or revolvers. The PVC coating doesn't scratch or damage handgun's finish. This rack can be used to free up space in a gun safe or cabinet; use at the range to hold handguns while not in use. Exterior Dimensions - 9" Long 7" Deep 5.75" Tall. Made by SnapSafe®. LIMITED TO STOCK ON HAND. NO BACKORDERS.